Let's face it... our days are busy. They're filled with going here, going there, doing this and doing that. And it seems to rarely slow down. Sometimes, I'll look at my wall clock and think, "Where has the time gone?!" Well, this time management no-no can be a thing of the past with a simple trick. 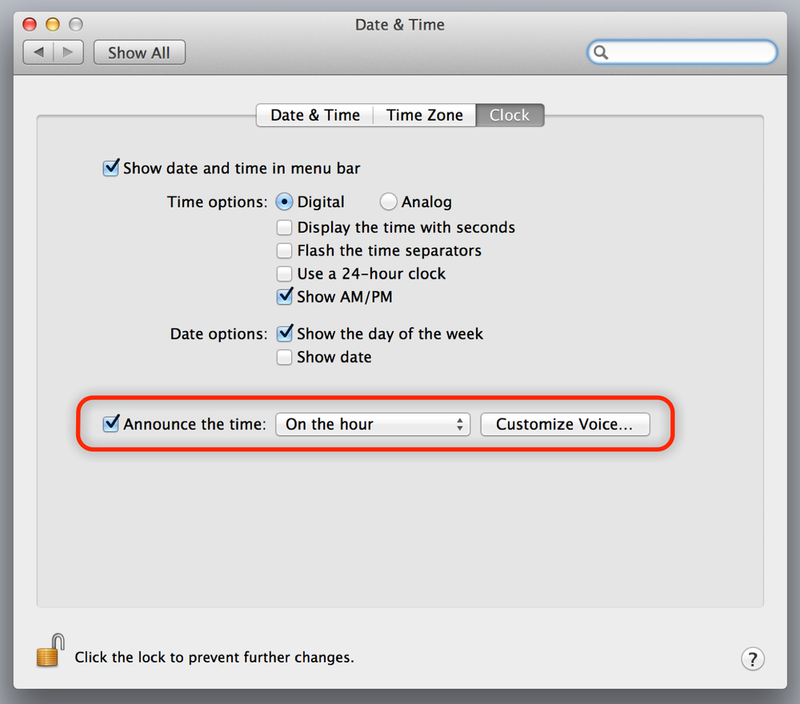 Mac OS X has a build-in setting that will announce the time every hour, on the hour (or more frequent, if you want). It's an audible way of reminding you that time is ticking, and can help to keep you on track (and on task). To enable this alert, open System Preferences then click on "Date & Time". From there, click on the "Clock" tab at the top, then check the box labeled "Announce the Time". In addition to the frequency of the notifications, you can also adjust the voice that it uses by clicking the "Customize Voice..." button. Posted on July 24, 2014 by Kevin Allgaier and filed under How To, Mac.